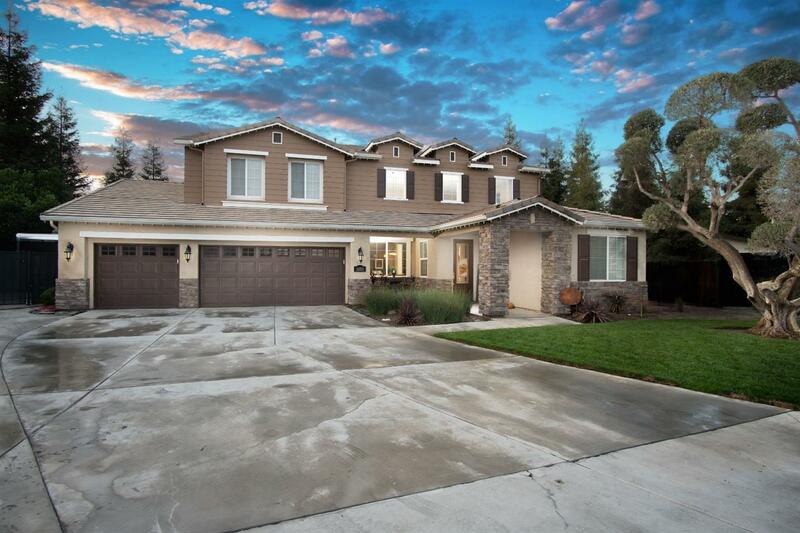 Looking for north west Porterville perfection? Here it is!!! Fabulous 5 bedroom, 3 bath, 5 car garage, large cul-de-sac lot, formal dining room, formal living room, and family room! The large open kitchen with island, stainless steel appliances and butlers area opens to family room and backyard with large under-roof patio cover perfect for entertaining! Features include wrought iron stair railing, centralized surround sound, beautiful in-set fireplace, maple kitchen cabinets, gorgeous ornamental olive tree, tons of storage, pantry, custom front door and large RV parking area with custom RV gate, power and sewer clean-out!